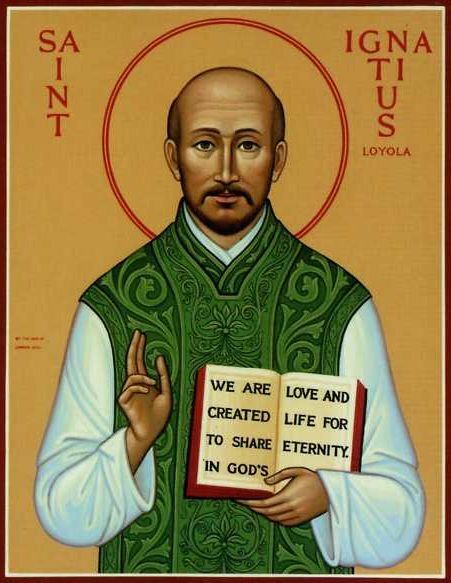 JF: Happy feast day St Ignatius. Thank you for your presence in and legacy for the Church. Your legacy still lives on and your life still inspired many people in the Church to live their true Christian calling. 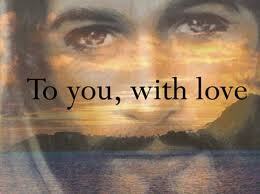 As we speak there are already tens of thousands of Jesuit priests and religious all over the world out of the 7 or 10 men whom you started as the ‘Company of Jesus.’ You really have formed an army for the Lord. In fact, we now have a Pope who is one of your sons in the Order, Pope Francis. Ignatius: It’s all because of God’s grace and for his glory. JF: For the sake of all who are celebrating this day in your honour, could you please tell us about yourself? Ignatius: I was born in Loyola, in the Basque region of Spain in 1491. My father’s name was Don Beltran, Lord of Oñaz and Loyola and my mother’s name was Marina Saenz de Licona y Balda. My father’s family bore the name of being one of the nobles in the region descending from the ancient Basque family. JF: So you had a promising future ahead of you so to speak? Ignatius: Somehow. But looking back, I never thought, I never even dreamt to be a saint, let alone with such widespread influence. JF: As a child, or as a young man, have you ever thought of serving God? Ignatius: No, not really. Being one of the youngest of a many children, I had a choice between religious or military life. JF: And you thought early on what would life be for you? Ignatius: Well, obviously I chose to be a soldier. A military. At the age of 24, I became a full-fledged soldier, dressed extravagantly, dreaming of romance, fighting and duelling and you name it. JF: Wow! So you thought that really was life for you? Ignatius: Sort of. You know living the dream if you will. However, after 6 years serving in the military, in 1521, something happened that opened up another door for me. Ignatius: I was in a defence position in the Spanish Citadel of Pamplona against the French forces, when a cannon ball hit my leg. The wound was never to heal properly. I had this limp for the rest of my life. JF: Oh, I’m very sorry to hear that. That would have shattered your dreams as a promising young man. Ignatius: Absolutely! Or so I thought! But little did I know God has called me to a greater service. JF: What makes you say that? Ignatius: I was still recuperating when I had this convalescence. Confined in bed, I need something to ease up the boredom, so I asked for some books to read. I was expecting book of romances, but all they got for me was the book of the life of Christ and a Spanish version of the pious tales of the Golden Legend. So, I took them nonetheless and started reading them. But then, I began to relish these books and spent my days reading them. Reading them made me my mind wavered between the world and the spirit. I felt being called to imitate the saints and their ways of prayer and penance. JF: You felt God was calling you on to something? Ignatius: Certainly. Upon recovery, I went to the shrine of Our Lady of Montserrat. There I made a general confession, left my sword and dagger before our Lady’s altar, and gave away all my earthly goods and started living a life of penance. JF: Wow! That was a great moment of grace, a moment of conversion! So how did you exactly live a life of penance? Ignatius: I spent a year living on alms in the town of Manresa, during which time I received many divine illuminations on matters of doctrine. It was during this time that I began to note down materials for what would later on become the book of Spiritual Exercises. JF: Seems like you were really convinced that that was what our Lord asked of you. Were you really sure then of your decision? Ignatius: I thought so. In February 1523, I set on my way to Holy Land. I took the ship from Barcelona. I spent Easter in Rome. From there, I left for Cyprus via Venice and then went on to Jaffa. From Jaffa I went to Jerusalem, with the intent to remain in the city. JF: And did you get to remain in Jerusalem? Ignatius: No. The Franciscan guardians of the Holy Sites asked me to leave for fear I would be captured and held for ransom. JF: So what did you do then? Ignatius: I went back to Spain in 1524. As soon as I realized that without education I would have little success in winning souls to Christ, I entered school, at 31 years old. I was in the lowest class, and among the youngest students. For eleven years I devoted my time to studies, living in the utmost poverty and begging food at Barcelona, Alcala, Salamanca, and Paris I was relying on the help and care by many generous people around. JF: And how did you go with your studies? Ignatius: While studying, I catechised the children, held assemblies of devotion and drew some people to Christ. It wasn’t easy for me though because I was treated by some in the Church with suspicion. JF: Did that atmosphere of suspicion enforced your decision to leave Spain? Ignatius: In a way. But also because I just wanted to further my studies. It was in the middle of winter, I travelled on foot to Paris. While there I tried to improve in Latin and Philosophy while at the same encouraged my fellow students to spend the Sundays and holy days in prayer and doing good works. JF: That’s amazing of you. And did that have an impact to other students? Ignatius: Yes. When I received the degree of Master of Arts from the University of Paris in 1534, a handful of men, including Francis Xavier, Peter Favre and four others came to associate with my spiritual exercises. JF: How did this association work? Ignatius: Together we made a vow to observe poverty, chastity and to go and preach the gospel in the Holy Land or wherever the Holy Father would send us. We made this vow at the chapel on Montmartre after receiving Holy Communion from Fr Peter Favre. This was on the Feast of Assumption in 1534. Then I went back to Spain living in poverty to keep up my vow. JF: And what happened to the others? Ignatius: Two years later we all met in Venice, with the intent to set sail for Palestine, but there was no ship available. The proposed trip proved impossible because of war. Instead we decided to go to Rome and present ourselves to the Pope, then it was Pope Paul III. JF: Did you get to see the Pope and what was your reason of meeting the Pope? Ignatius: We wanted to see the pope to confirm our group as soldiers of Christ or ‘the Company of Jesus’ fighting against falsehood and vice and standing under the standard of Christ. JF: I understood the Pope received you well. Did the Holy Father give you your wishes? Ignatius: Indeed! The Holy Father granted indult that those of us who were not priests could now be ordained, which we joyfully received soon after. JF: Getting that blessing from the highest authority of the Church on earth would really have been amazing. Ignatius: Absolutely. In 1540, the Society of Jesus became a reality, and I was chosen the first superior general. The rule I established seemed, at the time, revolutionary. My disciples were to be ascetics in the world, not in the cloister. We were to be teachers and preachers, trained scholars able to meet argument with better argument. We were to renounce all rank, temporal or ecclesiastical. We were to live under the intense discipline and perfect obedience which has always been their distinctive characteristic. With our vow on poverty, chastity and obedience, we added on a fourth vow, of going wherever the pope would send us for the salvation of souls. JF: That indeed was kind of a revolutionary sort of work for the mission. Ignatius: After the foundation of the society, I never left Rome. I’ve directed many activities of the order as well as carrying out our mission as the ‘Company of Jesus’. JF: One of your great works is the Book of Spiritual Exercises, how did you come up with that? Ignatius: It all begun in Manresa. Those materials came out as fruits of my prayers and penance. With the approval of the Holy Father, it was first published in Rome in 1548. JF: You should be very happy now, that on your death in 1556, your ‘Company of Jesus’ expanded so rapidly that it makes up sixty-seven Jesuit houses, and over a thousand members. You have left a legacy not only on Education on the Faith by your teachers in the Order, but also on the spiritual life in your Spiritual Exercises. But even without all this, you would still be among the great saints, for your heroic virtue, your absolute dedication to Christ and the Church and to the faith in general. Thank you for the gift that you are for the Church, for the Society of Jesus you established at the service of God and for the faith. Ignatius: All for the Greater GLORY of GOD…. Note: St Ignatius died in the morning of 31 July, 1556. He was canonized in 1622. Later on he was declared the heavenly patron of spiritual exercises and retreats. St Ignatius, Pray for us.